After saying a sad goodbye to my beloved cat of 20 years, I recently adopted a female 5-month old rescue kitten to cheer me up. I soon realised that this little bundle of energy desperately needed a playmate, so I decided to adopt a younger 12-week old male kitten. Cats are territorial, and in general they don't like to share, but after a lot of time and patience, my two kittens are finally learning to get along. Even though they started off hissing, growling and chasing each other, they’ve now become constant companions who really seem quite fond of each other. 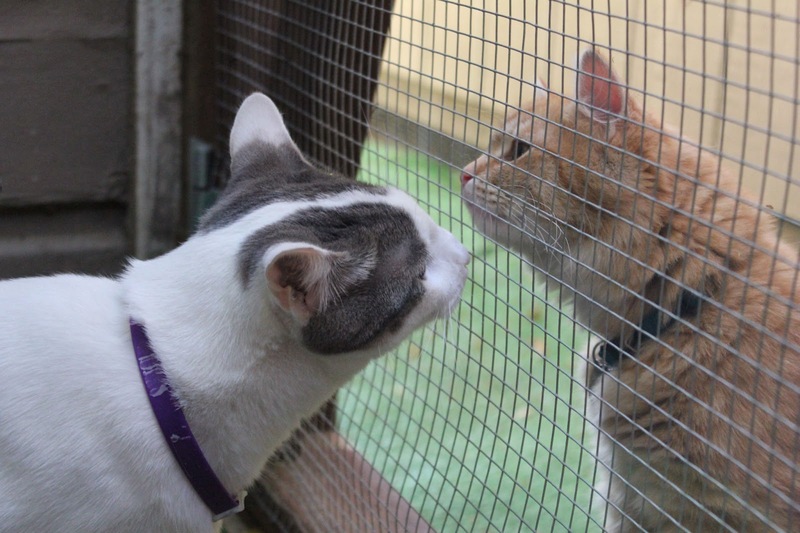 Here are some simple tips to make introducing two cats go smoothly. When you arrive home, the first thing to do is isolate the new cat in a spare room or bathroom. This will give them the chance to become accustomed to the sights, sounds and smells of their new home. Make sure the new cat has access to all their creature comforts – food, water, litter tray, scratching post and toys. The room should have a door that can be closed so there is no contact between the newcomer and the existing cat. 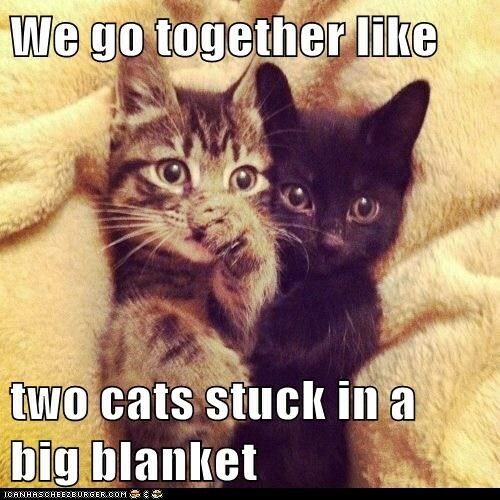 However, the two cats should be able to smell and hear each other. After a couple of days, start feeding and playing with the cats near the door of the isolation room so they associate each other’s scent with a positive experience. Then after about a week, let the cats see each. Do not allow full body contact. Use baby gates or a screen to keep them physically separate. Or if this is not possible, open the just door wide enough so that neither cat can get through. Some hissing, growling and paw swiping is to be expected. Once visual contact has been made and hostilities have started to subside, it’s time to open the door and let them explore each other’s territory. Don't interfere unless you believe either cat is in danger of being hurt. If your cats react badly, put the new kitten back in the isolation room and keep trying! Make sure you provide separate litter boxes, sleeping areas and food and water dishes. Also give each cat equal attention and affection and enough space to enjoy time away from one another at different times during the day.